Monday: 8:00 a.m. – 7:00 p.m.
Tuesday: 8:00 a.m. – 5:00 p.m.
Wednesday: 8:00 a.m. – 5:00 p.m.
Thursday: 8:00 a.m. – 7:00 p.m.
Friday: 8:00 a.m. – 5:00 p.m.
Every other Saturday: 9:00 a.m. – 1:00 p.m.
Monday: 8:00 a.m.- 7:00 p.m.
Tuesday: 8:00 a.m.- 5:00 p.m.
Wednesday: 8:00 a.m.- 5:00 p.m.
Thursday: 8:00 a.m.- 7:00 p.m.
Lilia Bonilla, MSN FNP-C, is a Nurse Practitioner in Family Medicine serving the East Chicago Clinic. She has 17 years of experience as a highly skilled and dedicated family practitioner nurse. She obtained her Bachelor of Science in Nursing from Indiana University Northwest and went on to earn her Masters of Science in Nursing from Purdue University Calumet. She specializes in Family Health, Women’s Health, Occupational Health, Pediatrics, and Adult Health. She is Board Certified and a member of the American Academy of Nurse Practitioners, as well as, a member of the American Nurses Association. She has also served as a preceptor for Nurse Practitioner students. She is fluent in both English and Spanish. Carl Toren, MD, is a Pediatrician at HealthLinc in East Chicago and HealthLinc’s Chief Medical Officer. He received his A.B. from Hope College, earned his Doctor of Medicine from Northwestern University Medical School and an M.P.H. from the University of Illinois School of Public Health. Dr. Toren has served as the Chief Medical Officer for Chicago Family Health Center, the Director of Medical Services at Chicago Behavioral Hospital, a Medical Consultant with Head Start, Chicago Services Division, the Medical Director and Pediatric Consultant for Columbus/Maryville Clinic and Center for Medically Complex Children, Medical Director for the Infant Welfare Society of Chicago, and Staff Physician and Public Health Supervisor for the Medical Missionary, Reformed Church in America. He is also an Instructor of Clinical Pediatrics at Northwestern University and a Clinical Associate in the Department of Pediatrics at the University of Chicago. Charita Weekly is serving our East Chicago HealthLinc location as a Family Nurse Practitioner. She received her Bachelors of Nursing from St. Xavier University and her Masters of Science in Nursing from Rush University. She has served as a Family Nurse Practitioner previously at Symphony of Bethany Skilled Nursing Facility, Healthstat Inc, and Ingalls Memorial Hospital. She is a member of the American Academy of Nurse Practitioners. Sonya Williams, MD is an OB-GYN working in the East Chicago Clinic. She graduated from the University of Delaware and began her residency training at Hahnemann Hospital in Philadelphia, PA and finished her residency at University of Tennessee Health Science Center in Memphis, TN. She went on to receive her Doctor of Medicine from Drexel University College of Medicine. She was most recently with the VNA Healthcare in Aurora, IL. 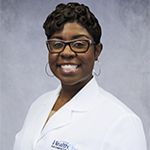 Dr. Williams desire is to serve in an underserved area with a focus on primary and surgical care in women’s health. She was the recipient of the National Health Corp Scholarship, John Henry Taylor Scholarship, African American Student of Promise Award, Merit Scholarship and Scholastic grants. Dr. Williams volunteer service includes being a Volunteer Peer Counselor and The Homeless Outreach Project at Drexel University, Special Olympics, Emmaus House, and YWCA – Latch Key Program in New Jersey. She enjoys water painting, pottery, the theatre, working out, and re-learning the violin. She is also a huge animal lover. Her most rewarding hobby is traveling to other countries and experiencing different cultures and traditions. She has been to Mexico, Jamaica, the Dominican Republic, Belize, South Africa, and throughout Europe. Dr. Adhami is committed to alleviating the health disparities that underserved populations face. He enjoys all fields of dentistry, especially extractions, root canal therapy, and prosthodontics. He is the recipient of the Excellence in Prosthodontics Award from the American College of Prosthodontics. In May 2016, he published an article in the Journal of the American Dental Association entitled Soft-tissue calcification on a panoramic radiograph. Dr. Adhami maintains active membership in the American Dental Association and the Academy of General Dentistry. Trista D. Wyman DDS is a dentist at the Valparaiso and East Chicago locations. She graduated from DePauw University with her Bachelor in Biochemistry and minor in Biology. After completing her Master of Biology from Indiana University, she graduated from Tufts University School of Dental Medicine with a DMD. Trista has also volunteered for Global Service Learning in Jamaica providing oral hygiene instruction, cancer screenings, etc. "Great employees, nice, clean environment. Love it when they find ways to help those with low or no income. Every little bit helps so much and they sometimes have contests or promotions to help you help yourself. I am entered to win a Kindle because I had a PAP done. How awesome is that?" "My doctor is wonderful. He takes his time and I never feel rushed. I am always in the room on time and out within a reasonable time." "First time and I was absolutely impressed. Had a dental emergency and no insurance. HealthLinc went above and beyond my expectations. Ended up having 5 teeth pulled that have been bothering me for years. No other dentist would even touch them because I had no dental insurance. I can honestly say I was very impressed and thankful to finally have decent care at a decent price." "I love HealthLinc! Service is always fast and friendly. Nurses and doctors are wonderful! I refer HealthLinc to all my friends!" "Comfortable atmosphere, sliding scale payments with good physicians that care. They truly care about the patients and go above and beyond to help. I went to HealthLinc before having insurance, but still go here now that I do because I enjoy them that much. I would recommend to anyone seeking general medical help." "I have had nothing but caring doctors and dentist here for my child. On her first dentist apt. they were very understanding and patient with my child who was afraid and comforted her very well. The doctor was amazing and I'm happy she's my daughter's new family physician." "When we lost our health insurance I panicked, but a HealthLinc Navigator was there to help. She held my hand through the entire process and made sure I was taken care of. In a time of such uncertainty, she made me feel confident that we would be OK. "
HealthLinc improves its communities by expanding access to exceptional health care. Same Day Appointments are Available. For normal and after-hours health care advice. HealthLinc, Inc. receives HHS funding and has Federal Public Health Service (PHS) deemed status with respect to certain health or health-related claims, including medical malpractice claims, for itself and its covered individuals.